Many people believe that a reckless driving charge isn't so bad, but a conviction for this crime has serious consequences that cannot be ignored. A reckless driving conviction in Tacoma will incur a mandatory 30 day suspension of your driver's license, and you could spend up to 364 days in jail and be liable for fines totaling $5,000. Once your license is reinstated, you will also have to carry SR-22 auto insurance for three years, which is far more expensive than regular auto insurance. So while reckless driving may be a misdemeanor, it can damage your freedom, reputation, and finances. If you're currently faced with this serious charge, get help from the Tacoma reckless driving attorneys at the Law Office of Jason S. Newcombe without delay. A reckless driving conviction in Tacoma will affect you and your family in many different ways, so it's important to seek professional legal guidance to help you navigate the complexities of the legal system. 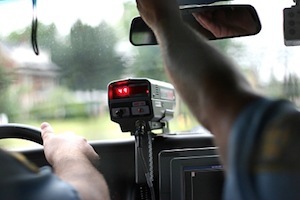 Washington State laws can be confusing, especially when dealing with reckless driving offenses, or DUI related crimes. Our Tacoma reckless driving lawyers will defend your interests and provide you with legal counsel intended to help you make informed decisions. Contact our law office today and schedule your own private consultation, and one of our Tacoma reckless driving attorneys will get back to you in less than 24 hours. When you appear at your Department of Licensing hearing or in court, your attorney will be at your side. While our primary goal is always to keep you out of jail, we will also pursue all legal avenues to prevent the suspension of your driver's license. Can You Fight A Reckless Driving Charge in Tacoma? If you're charged with reckless driving in Washington State, you will be prosecuted as a criminal. Our Tacoma reckless driving lawyers understand that you don't see yourself as a criminal, but neither do the countless, hardworking people who are charged with this crime every day. The role of your lawyer is not to pass judgment, but rather to protect your legal rights. There are a number of potential issues we explore when dealing with reckless driving cases that could render a favorable outcome. Much will depend upon the circumstances that led to your arrest and the police reports relative to your case, so you should speak with one of our Tacoma reckless driving attorneys as soon as you can. Our lawyers offer a free consultation to anyone in Tacoma charged with reckless driving. This is one of the best ways for you to obtain accurate legal information regarding your case without any monetary risk or obligation. We understand that you want to stay out of jail, and that losing your ability to drive could make it hard to go to work, pick up your kids from school, or even run a simple errand. For this reason, we prioritize these key issues as we prepare your defense, using our more than 3 decades of collective experience to aggressively defend your rights. Contact our law firm today and speak to one of our Tacoma reckless driving lawyers about your case so that we can start building your defense.